Moorea rises magically out of the ocean like a cathedral. High, sharp, inspiring green spires, crowned by clouds. Poetic threads of waterfalls tumble down fern-softened cliffs. 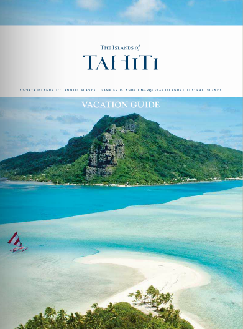 Peaceful meadows flanked by pinnacles of emerald green will renew your belief in the majesty of nature, and Moorea’s bright blue lagoon will bring to life the South Seas idyll of your dreams. Pastel-painted houses, surrounded by gardens of hibiscus and birds of paradise, circle the island in a necklace of happy, simple villages that will elevate your senses and remind you that this is what life is all about. La vie heureuse, as they say in Tahiti, a happy life. 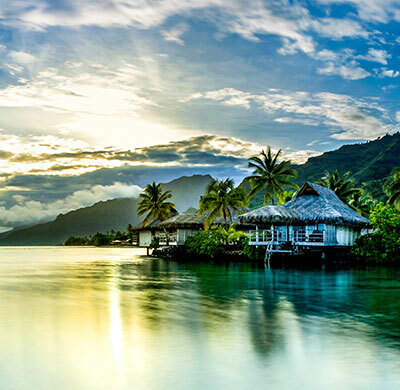 One of the most memorable locations in The Islands of Tahiti, Moorea’s beauty is unforgettable. The quiet waters of the lagoon and the annual trade winds from April to October allow for a variety of activities, from outrigger canoeing to paddle boarding, kite boarding, water skiing and even surfing around of some of the passes. 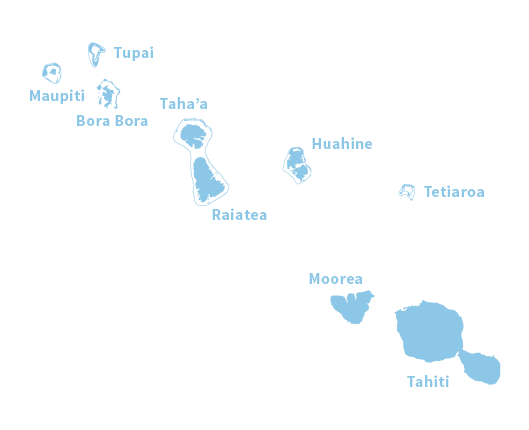 One of The Islands of Tahiti, Moorea is a haven for divers who instantly fall in love with the varied coral reef ecosystem and the colorful mix of marine life. While scuba diving or snorkeling, you might encounter stingrays, sharks and marine turtles in a clear lagoon sparkling with different shades of blue. On the mountainside, the sharp landscape is watched over by eight summits featuring a magnificent ancient volcanic crater which has now become a lush valley. It is the perfect area for hiking, horseback riding, quad biking or exploring on a four-wheeler. 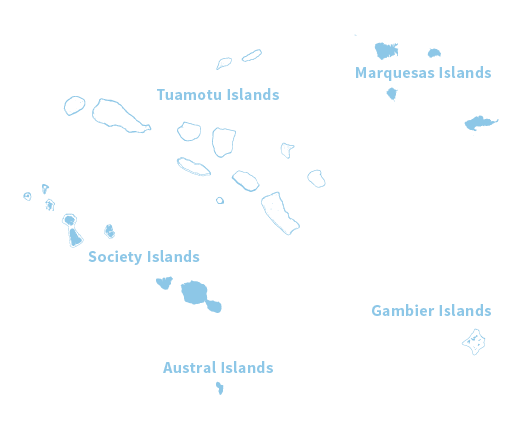 Colorful, flowered and radiant, the island of Moorea is a pleasure for all the senses. 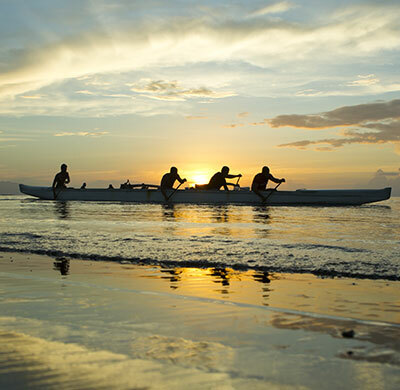 Stroll luxuriously between gardens and white sand beaches, myriad flowers and pineapple plantations or watch fishermen on their outrigger canoe or to listen to the sound of the ‘ukulele sitting under a purau tree (Hibiscus tiliaceus). You’ll relish these magical moments and this unmatched world of enchantment. 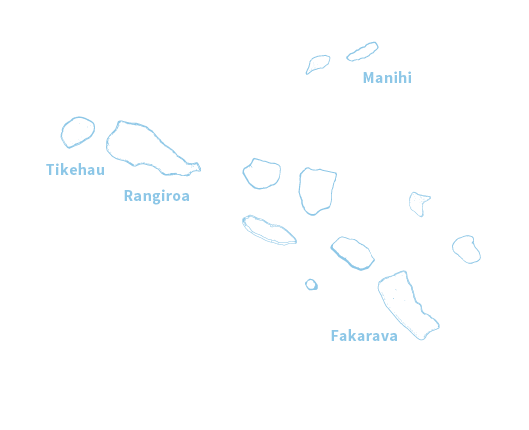 Many artists live on the island of Moorea. Painters, carvers, jewelers and tattoo artists have settled down on this island and take their time to capture the island’s beauty and serenity and find the inspiration to create their art.